We are full time Snow Removal Contractors in Randolph offering Commercial and Residential(must be existing customer or willing to commit to one of our maintenance services also) snow plowing services for over 30 years . We are the first snow removal company in the area to offer a unique Seasonal Snow Plowing Agreement, designed to protect you from excessive fees in the event of a mild winter. Contact us to learn more! We provide in Randolph commercial & residential snow plowing services like shoveling, salting, pre-salting, snow relocation, and hauling for parking lots, buildings, offices, churches. Anthony Agudelo Landscaping has been a Snow Plowing Contractor since 1987. 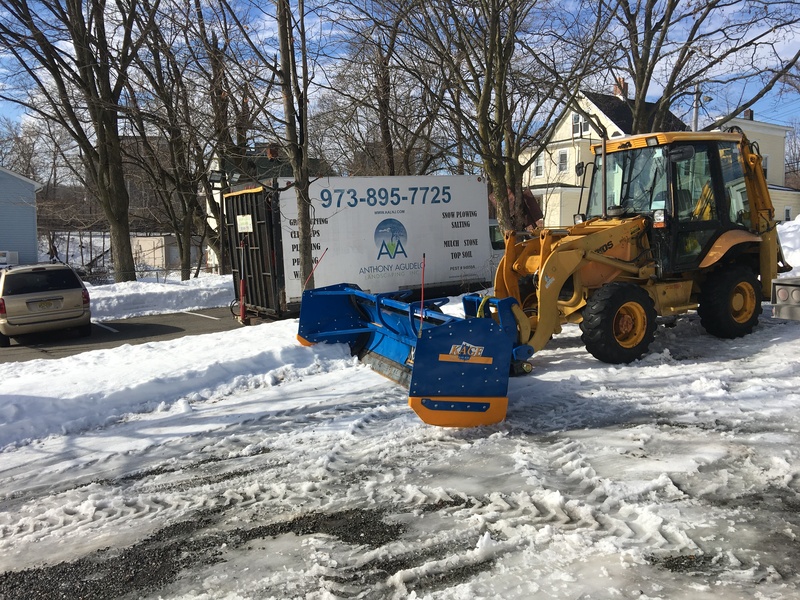 We are a perfect match for anyone in need of a very reliable local service for snow removal for parking lots on RT 10 from Randolph to Whippany, Sussex Tpk, Hanover Ave. With our 24/7/365 service, we make sure your parking lot is safe at all times! -Their residential snow plowing service also includes shoveling snow for the main entrance to the house and garage doors. -Come before the winter and mark your property with a reflector that allows the crews to know where Not to place snow. -They advise you by email of what is coming and what plan they created to attack the storm depending on the time of day. -They have more than one crew working in town so they have a backup in case something goes wrong. -They have salting trucks loaded all the time so it will not take them 3 hours to come and salt your place if you call them. -They pay a private snow weather service to advise them of what is coming and when it is ending. -That a person is going to take the message when you email or text 24/7 all winter long. -That you will get a bill after each storm so errors are corrected right away. -That you can have your service in autopilot meaning get and email with the bill and charging your credit for the services.